In 1996, following several years of professional and personal development, Ruth started her own company, Ruth Ruttan & Assoc. At that time one would ask, “What is Nurse Entrepreneurship?”… For her it was a journey of self-discovery and paving the way for others to follow in a fairly new role of the Independent Footcare Nurse. Her highly developed leadership skills have been one of her greatest assets. 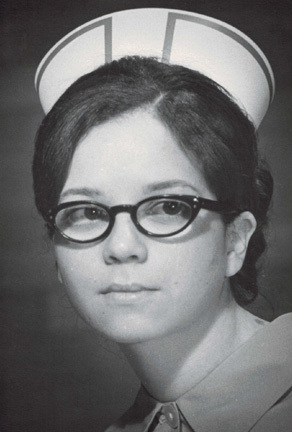 Ruth’s career as a Registered Nurse began at the age of nineteen. Several years of diverse nursing experience and her years of teaching as a community college nursing instructor is what Ruth brings to her business. She is able to teach what works and…what does not! Nursing Footcare began for Ruth in 1985 and she states without hesitation that this is the most rewarding work that she has ever done. Her passion for her work remains her motivation and keeps her on her journey for continuing education. Over the years she has earned the following qualifications and teaching awards: Certified Footcare Educator; Certified Diabetes Educator (CDE); Certified Compression Therapy Consultant; Graduate of the International Interdisciplinary Wound Care Course (IIWCC) from U of T. & Adult Education Certification. Durham College has granted Ruth awards for “Teaching Excellence”. She has also received the “In Celebration of Women” award for medical teaching. Ruth is also a professional public speaker, and achieved CTM standing in 1995 with Toastmasters International. As a consultant, Ruth has developed Footcare Policies and Procedures for organizations on a national level. She participated in the development of CNO Footcare Guidelines and the development of RNAO Best Practice Guidelines for Reducing Foot Complications for People with Diabetes. Hospitals, Nursing Agencies, Long Term Care Residences have consulted with Ruth to deliver programs to staff based on their specific needs. Ruth also provides auditing of Footcare Programs offered by organizations and provides the associated training refreshers where required. Annually Ruth organizes a footcare conference that draws nurses and speakers internationally. A trusting, loyal relationship with corporate vendor partners see them returning on an annual basis. This has been a sellout event many years. In 2001, as part of an organized cruise, a group of Footcare Nurses under Ruth’s guidance visited St. Thomas, V.I. and provided footcare services and diabetes/footcare education to clients and staff at their local hospital. Seminars and workshops were provided by Ruth while on the cruise. Ruth’s commitment to nursing finds her involved as an executive member for special interest groups of RNAO and other leadership groups. She consults with corporations on behalf of the Nursing Footcare industry to identify the newest and most relevant items to enhance the practice of nurses. Her involvement in footcare and passion for her work has led to her recognition as a leader in this very important and growing field. Contact Ruth Ruttan for your next event!